Attention displaced bookworms! As our book review columnist, Beth Green, an American expat in Prague (she is also an Adult Third Culture Kid), is still honeymooning (literally—congratulations, Beth! ), we have loaned her space this month to seasoned expat and freelance writer Ana McGinley, who will tell us the story of a well-known international creative in the expat book world: Jo Parfitt, founder of Summertime Publishing. Hello, readers, and thanks Displaced Nation for this opportunity to talk about Jo Parfitt. A journalist, editor, writer, speaker and teacher, Jo has lived abroad for 26 years—in France, Dubai, Oman, Norway, the Netherlands, Brunei and now Malaysia. She is the founder of Summertime Publishing, which specializes in publishing books by and for people living abroad. 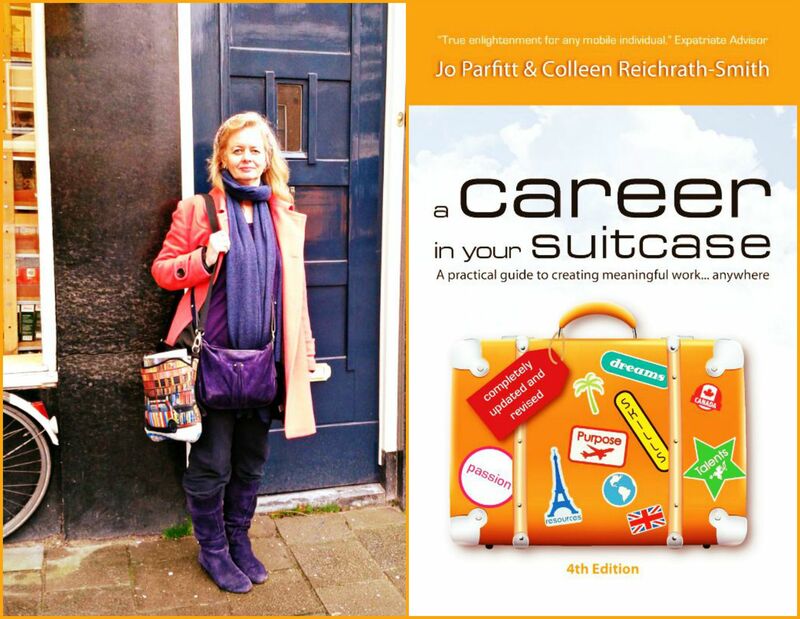 Eighteen years ago, Jo published A Career in Your Suitcase, her guide to creating a portable career. Now in its 4th edition, the book continues to grow in popularity as the number of expat accompanying partners, mostly women, find themselves seeking new mobile careers to replace the jobs and careers relinquished to embark on a global relocation. Jo Parfitt on Bankastraat, Den Haag, Netherlands, one of many former homes; book cover art for her bestseller, A Career in a Suitcase, now in its 4th edition. The success of that book inspired Jo to set up her own business mentoring expats in search of suitable career opportunities. Having written 31 books herself, Jo decided to extend her training to include writing skills guidance for new authors. Several of them have partnered with her to publish their works, and Summertime Publishing—which she’d first set up to publish her cookbook, Dates, written while living in Oman—took off. many other topics including books on retirement: Retire to the Life You Love, by Nell Smith (December 2014). A year ago, Jo enlisted the help of former Displaced Nation columnist Jack Scott, he of Jack the Hack fame. Jack had published his book, Perking the Pansies (a memoir based on his popular expat blog of that name), with Jo (he now has a sequel out: Turkey Street). In addition to Jack, Jo has hired Jane Dean (who was Jack’s editor). Jo, Jane and Jack have British roots, although Jane is now a US citizen, yet all three are based in different global locations: Jo in Kuala Lumpur; Jack in Norwich, UK; and Jane in The Hague, Netherlands. All three have in common the experience of relinquishing previous careers to accompany their partners—and establishing successful portable careers in the publishing world. (Left to right) Jo Parfitt, Jack Scott and Jane Dean (supplied). Today Jo takes care of sales and marketing, business growth, client intake, big-picture edits and manuscript assessment at Summertime Publishing. Jane is the chief editor and production manager, and Jack is responsible for royalties, administration, digitization and social media. Business is conducted digitally via computer networking and bi-monthly business meetings on Skype—and regular Skype meetings with their team of designers. The three aim to physically meet each year for the company annual general meeting. Jo says that the recent expansion of her business is directly related to the growth in the globally mobile workforce. As more people relocate to new locations, the thirst for knowledge about expat issues, both unique and common to specific destinations, increases. Expats tend to be well-educated individuals capable of resettling in unfamiliar places and adjusting to new cultures, without losing their own cultural identity. By necessity expat partners often dive deep into the culture of their new destination, interacting with local people and services daily. These accrued experiences, good and bad, can form a strong basis for a good story. Anyone who is familiar with Jo has noticed a theme running through her life and work having to do with summertime and sunshine. Jo says she named her press “Summertime” after the song by Gershwin, which she sees as her theme tune. “I am a positive person and love the optimism and hope in the lyrics,” she says. 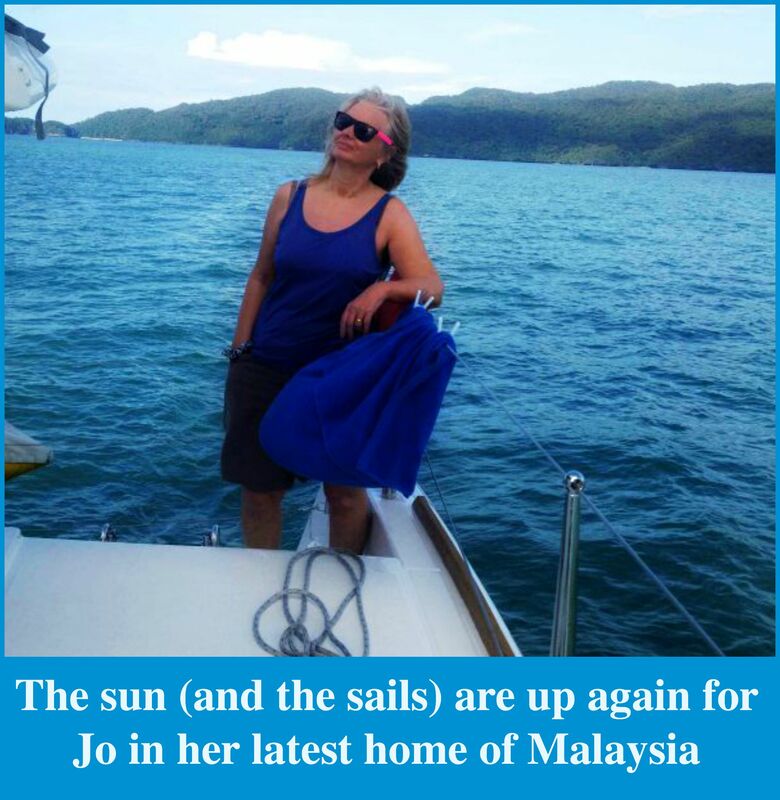 Having spent ten years in the intense sunshine of the Middle East, Jo has also published a novel called Sunshine Soup, about expat life in Dubai, and she currently keeps a blog about the life she leads with her husband in Malaysia, called Sunny Interval, because after postings in Europe they get to enjoy the sunshine again. Photo credit: A Sunny Interval. • Do your own market research to see whether books covering your topic already exist. Most mainstream bookstores do not have a specified section for expatriate books—so look online. Does Your Book Have Legs? 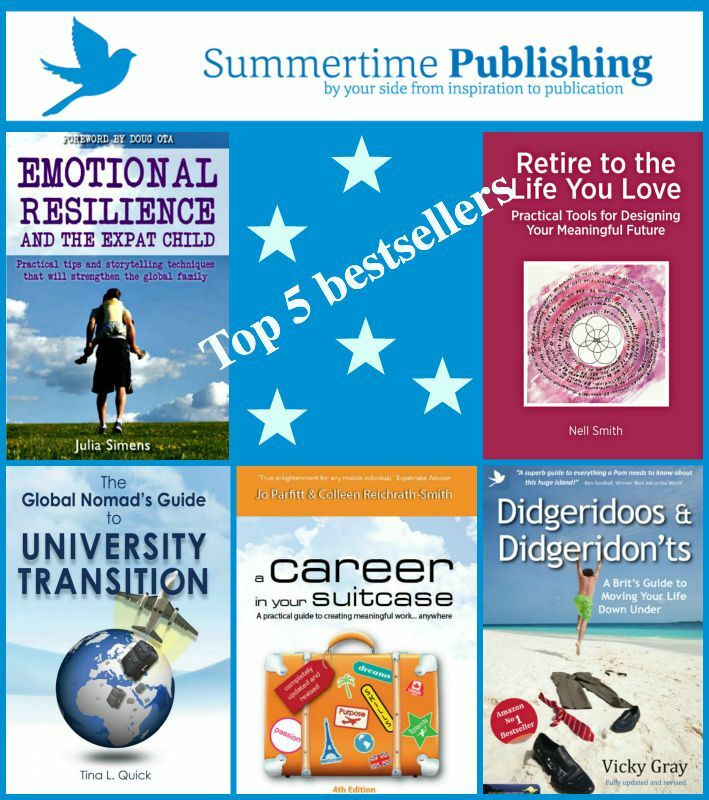 • Consider the practical aspects of publishing a book. 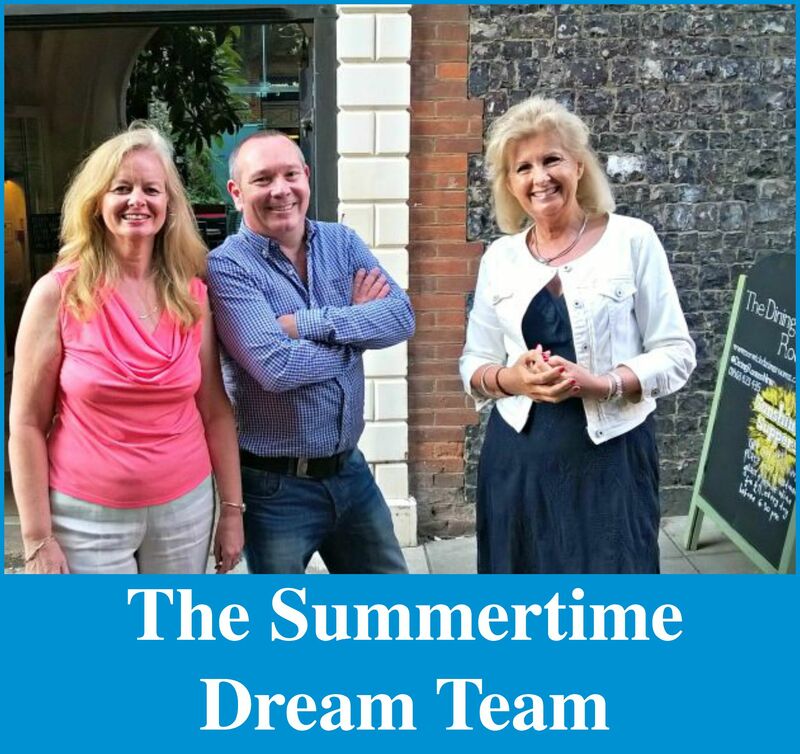 Writers who enter a contract with Summertime Publishing will be offered editing, printing and promoting services tailored to suit their individual needs. • Most importantly, assess your available time and lifestyle and evaluate the real possibilities of being able to regularly focus on your book project. writing a book demands a high level of focus. I believe everyone has a story in them. I tell someone that if their story is likely to inspire, support, inform or entertain another person then it is worth telling. Thank you, Ana, for introducing us to Jo Parfitt. Her dedication to the cause of publishing expat works, along with her sunny disposition, has extended the feeling of summertime for me a little longer! 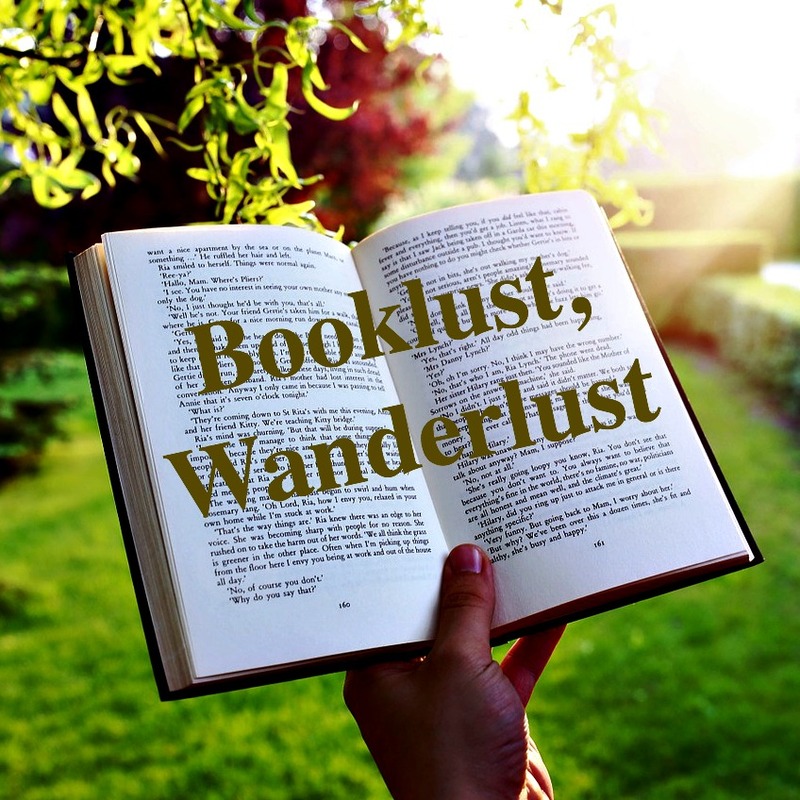 Readers, how about you? Any questions for Ana +/or Jo? Born in Australia, Ana McGinley has now lived in seven countries in 15 years, so more than qualifies as a serial expat. She writes, edits, reviews and researches articles for various online publications, including serving as the review coordinator for Summertime Publishing—all of which distracts her from finishing her book about caring for ageing parents from abroad, a topic related to her previous work as a social worker with older people. She currently lives in the Netherlands with her Canadian husband and four children, all born on different continents. To get to know Ana better, please follow her HuffPost column. You can also view her portfolio of published works here.